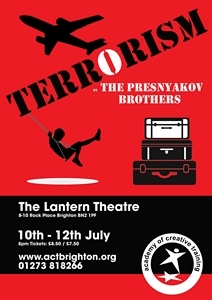 The extraordinary debut play from the Royal Court by two brothers from Siberia. A series of seemingly unrelated scenes portray the ordinary frustrations of everyday life: office workers bickering, a couple committing adultery, grannies complaining about their husbands. But the scenes unfold to reveal the mistrust and dysfunction that have become the norm, in Russia and elsewhere. Tickets £8.50 (Full Price), £7.50 (Consession).